hightouchmegastore: Notes from my personal cinematic history. Notes from my personal cinematic history. (and also music, of course). Were there neglected children in this story? Indeed there were--their mother had died. Did they need a governess, aka nanny? Indeed they did! And who better to be this nanny, aka governess, than a nun, or novice, or Julie Andrews with the hairdo of a boy five weeks past his haircut appointment? No one, that's who. 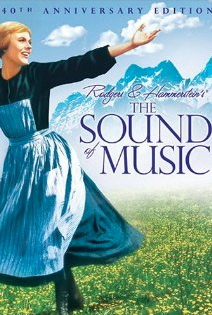 The Sound of Music, too, was in the heavy rotation of the Saturday chore-doing music of my growing up years. So it goes without saying that I knew all the words and could sing all the parts to each and every one of the songs. I don't know if anyone ever actually caught me singing all the parts of "So Long, Farewell," but I certainly could, whilst cleaning the mirror tiles on our entryway wall. And it is also true that I mustered a superb Mother Superior voice for "Climb Ev'ry Mountain," like a champ, epic and heartfelt, with the heavy vibrato that she pulled from the depths of her wise, epic soul. 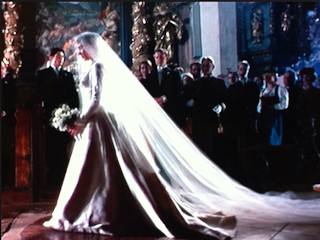 I wanted my wedding to have that much veil in it. Good heavens. 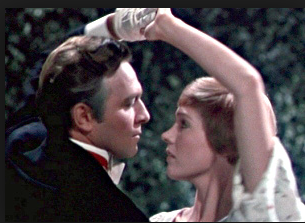 I'd forgotten that, but there it was: hot Captain Von Trapp, dancing his way into a confusing but very gratifying declaration of love to Maria. She runs away, the Mother S. tells her to quit her mousing around and meet her destiny. Awesome veil, cathedral wedding, Nazis, and a daring escape. I guess Christopher Plummer didn't much like the movie when he was working on it. "The Sound of Mucus," he acknowledges now having said at the time. But that hauteur actually worked for the role, I think. And those songs are undeniably splendid, and Julie A. never looked more lovely, even working marionettes or wearing a dress made out of draperies, or glowing next to the super-refined but unlucky-in-love Baroness. Julie the Nun was the star, even wearing an unlovely dress. "You brought music back into the house. I had forgotten," the Captain said to her. Yes: his heart beat and sighed with it, the hills alive with it. It is a moment of great pride that I can sing the descant part of Do Re Mi. When you know the notes to sing..... you can sing most aaaaaaaaaany thiiiiiiiiiiiiing! I've been enjoying SOM riffs lately, but this blog post of yours ranks as the best. Good stuff, HTMS. Good stuff indeed, HT. 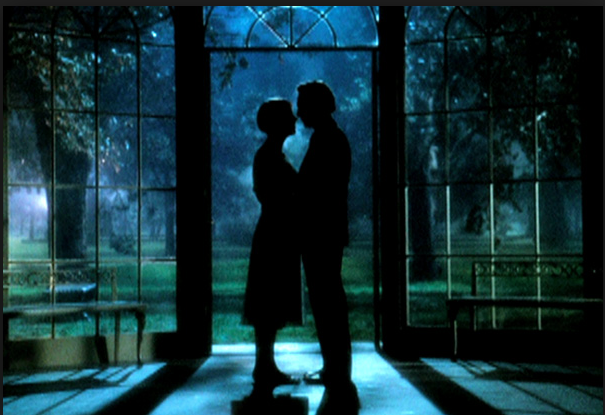 Fraulein Maria is my hero! To bake a pumpkin pie.